Congratulations…you’re engaged!! Now it’s time to plan your special day. Understanding what goes into planning a wedding is so important but it’s NOT just about the details. There are many important things to consider. Here are 7 wedding planning tips to help couples avoid making mistakes when planning their wedding. Not putting together a guest list first. The first thing couples need to do is put together a guest list. Keep in mind that both sides of the family will want to invite guests. The list will grow quickly. It’s not the most fun part of the planning process but it is one of the most important. Couples need to know how many guests they are inviting to determine the amount of space they will need. Most venues and vendors price according to the number of guests so having a clear guest count will be helpful from the beginning. Not understanding the services they are getting. You MUST meet with all your vendors and do a site visit at the venue before signing ANY contracts. Pictures on the website of the venue are usually not as accurate as they are in person. Visit the venue to make sure you LOVE it and it fits your vision for the wedding. Ask for video samples from the videographer. Make sure you hire a wedding photographer who has experience shooting weddings. A corporate photographer and wedding photographer are completely different. Do not let Aunt Betsy take pictures to save money unless she is an experienced wedding photographer. You’re going to want great pictures! Get references. Search Google to see if you find negative comments about the vendor or the venue. Ask for linen samples. You need to check the color and quality of the linen. The product and color are usually different in person. You cannot make changes once the fabric arrives to the venue on the day of your wedding so be sure to get samples ahead of time. Linen companies will send you samples at no charge. One of our favorite linen companies is TSS Linens. If you are getting married around Valentine’s Day, take into consideration flowers will be much more expensive. Consider the holidays around your wedding day and what flowers are available at that time of year. Not hiring the right DJ for your wedding. The music is one of the most important elements for your wedding. ALWAYS discuss in detail with the DJ what music you want them to play. Give them a specific play list. Don’t hire a club DJ because he’s your fiancés friend unless you want this type of music for your wedding. Don’t hire a DJ that only does kids parties. You want to make sure the DJ understands who are as a couple, who the attendees are and what type of “theme” you want for your wedding. If you want the DJ to MC your event, be sure they have experience as an MC. Not every DJ does this. Not tasting the food. You must ALWAYS taste the food before the wedding. If there is a specific type of food you want for your wedding, be sure the caterer has experience with this type of food. For example, if you want a kosher menu, you need to be sure the caterer or venue has experience with serving kosher food before you sign the contract with them. AND set up a tasting before you commit. Not sticking to the budget. Ohhhh the budget…most people never stick to the original budget. Be sure to set a budget from the start and stick to it. Here is a basic wedding budget breakdown to help you determine how much to budget for each item. Not asking for a discount. I LOVE to negotiate! I get excited when I get a discount for our clients but as an experienced planner I know where I can get discounts and how far the vendors and the venue will negotiate. There is ALWAYS room to negotiate. They will quote high at first to determine the amount you are willing to pay. Don’t be afraid to negotiate. If you don’t ask they won’t offer it. I could write an entire blog on negotiating but here’s one little tip: Be confident and be nice in what you are asking for. Don’t tell them what you are willing to spend until they give you a quote first, then go in with a number lower than what you are comfortable to spend. Let them come back with their revised quote and then ask for ANOTHER discount. If you hear ANY hesitation in their voice, you can still get the price down. As a planner, it is much easier to negotiate for the client as they know we will bring them more work in the future, which leads me to mistake #7. Planning it alone. I understand that most people do not want to spend the extra money on a wedding planner but I can’t tell you how many times I hear couples say they spent more money on their wedding because of the things they didn’t know. Experienced wedding planners know what to ask for and how to save you money! They have relationships with vendors and venues they use over and over again, which will save couples money in the long run. The last thing you want to do is call a venue or vendor and tell them you are a bride getting married. They will charge you the “bridal” price and it not pretty. It doesn’t matter if you are planning a small wedding with 30 or a wedding with 300, most wedding planners will work with your budget so don’t be afraid to look into hiring a professional. We hope you found our wedding planning tips helpful. We’d LOVE to help you save money on your wedding!!! Email Forté Events NYC today to schedule a FREE consultation at info@forteeventsnyc.com or call us at (646) 559-9866. 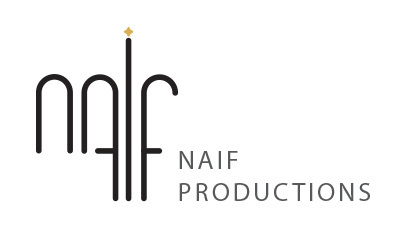 Since 1986 Annette Naif has been designing and producing custom events. Helping clients create their unique signature style that translates into a memorable experience has been Annette’s passion from the beginning. Annette spent a number of years producing events for Sebastian International followed by 15 years in the motion picture industry where she helped coordinate numerous productions for film and episodic television programs. Since then she’s been running her own event design company, coaching other event planners and now leads the New York City branch of Forté Events.